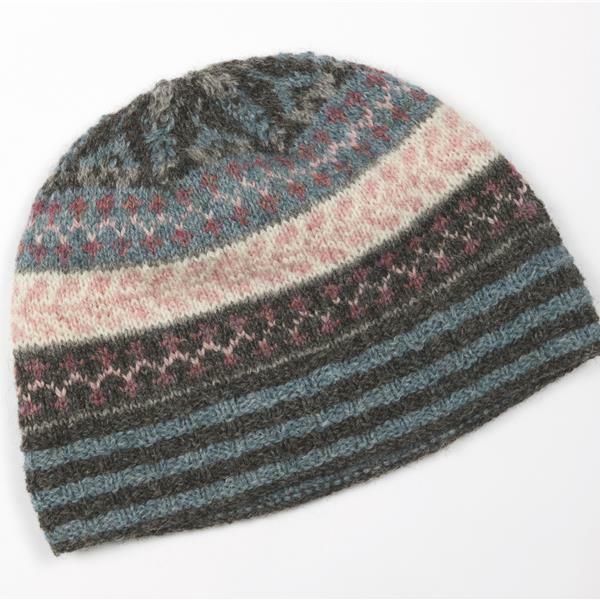 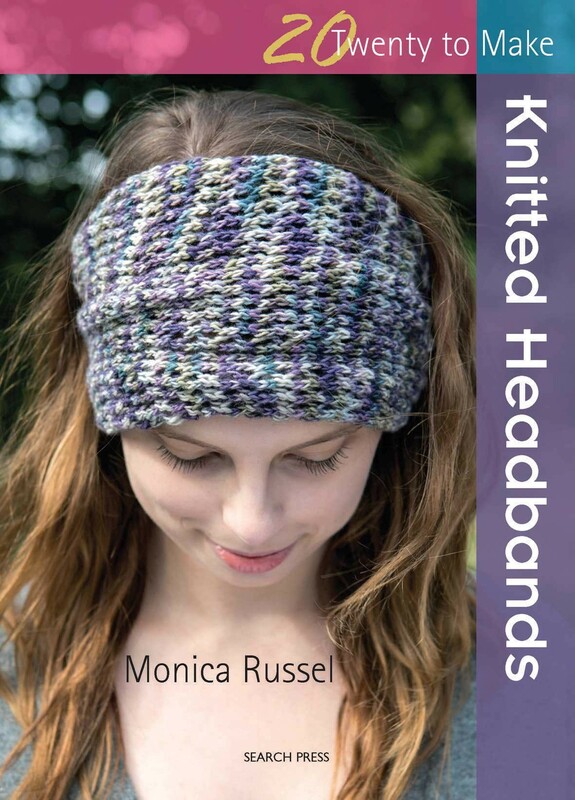 Monica Russel, trading as The Knit Knacks designs and supplies knitting kits and patterns. 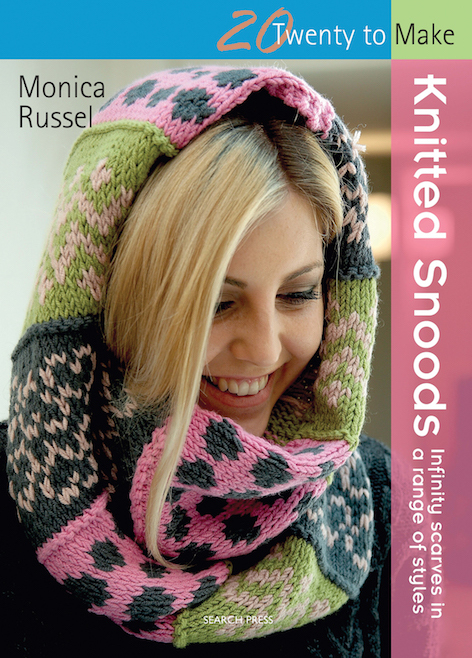 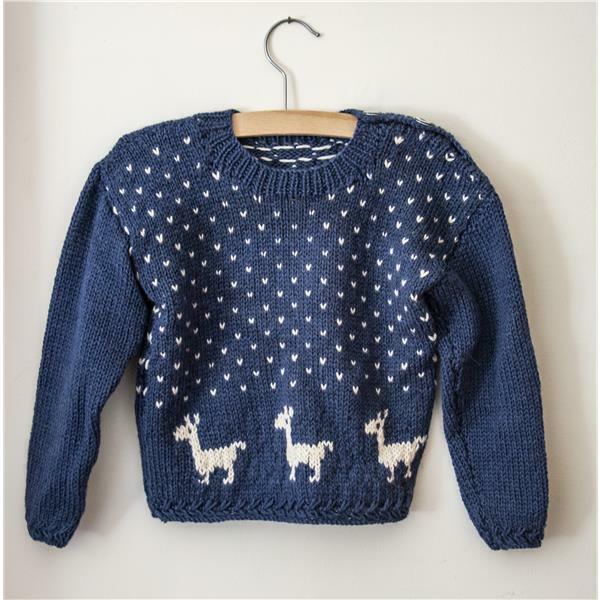 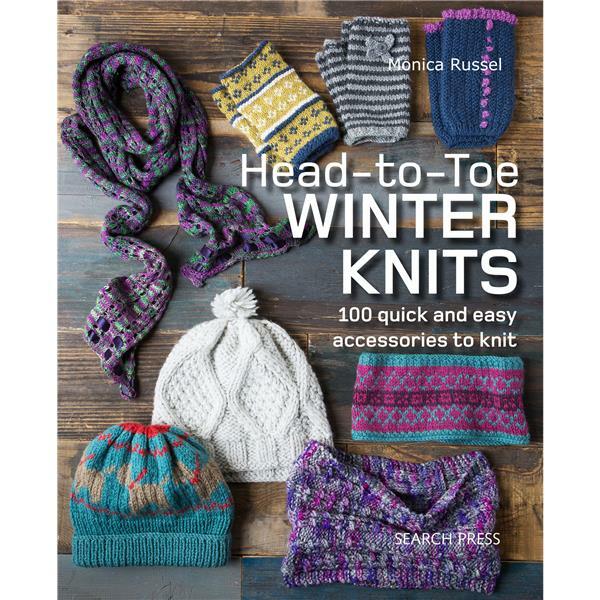 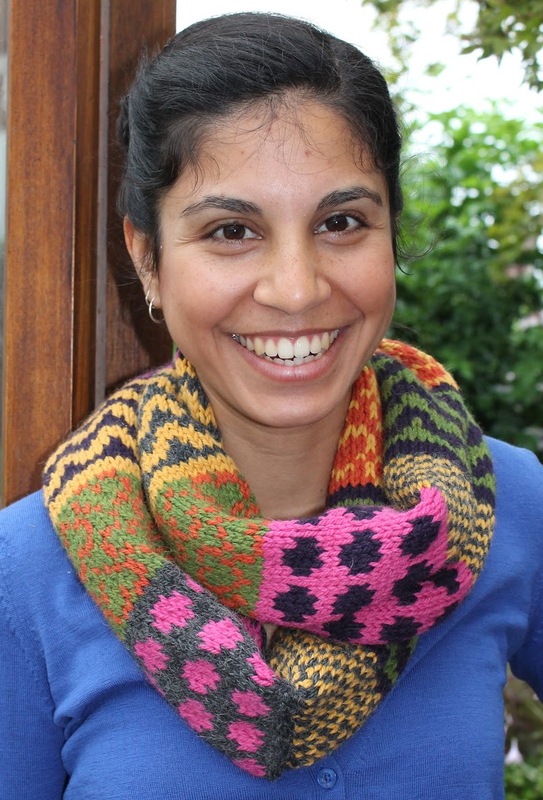 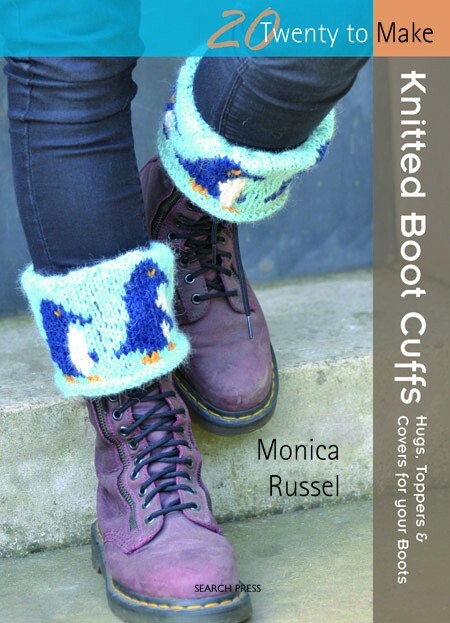 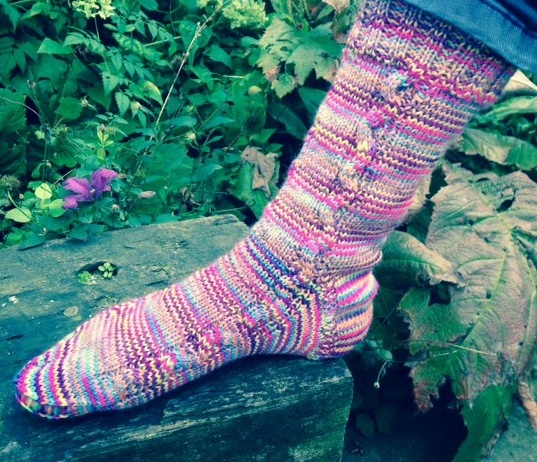 Monica has 10 books with her knitting patterns and her designs regularly feature in knitting magazines – Let’s Knit, Simply Knitting and Knit Now.Monica has also created several designs for Roosters yarn, UK Alpaca and Jamiesons Yarn. 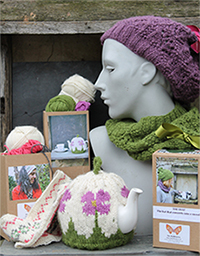 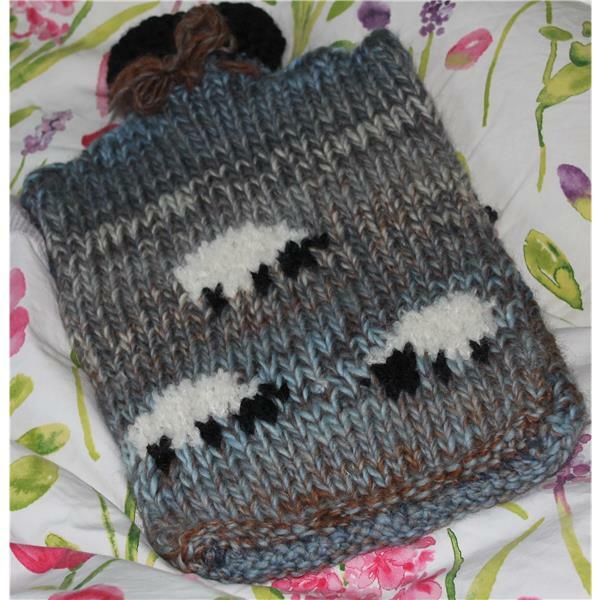 The knitting kits for tea cosies come in eco friendly boxes, my other kits for hats, wrist warmers, boot cuffs and other fun accessories are packaged in cellophane and contain the pattern and all the necessary yarns for your chosen item. 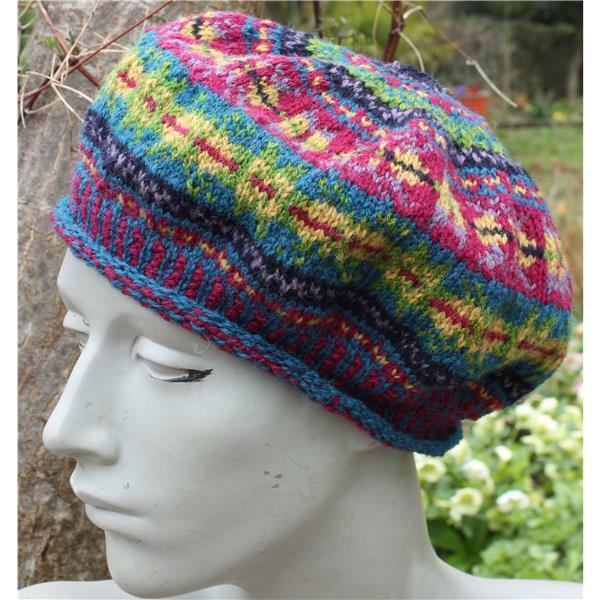 A range of colour combinations can be chosen. 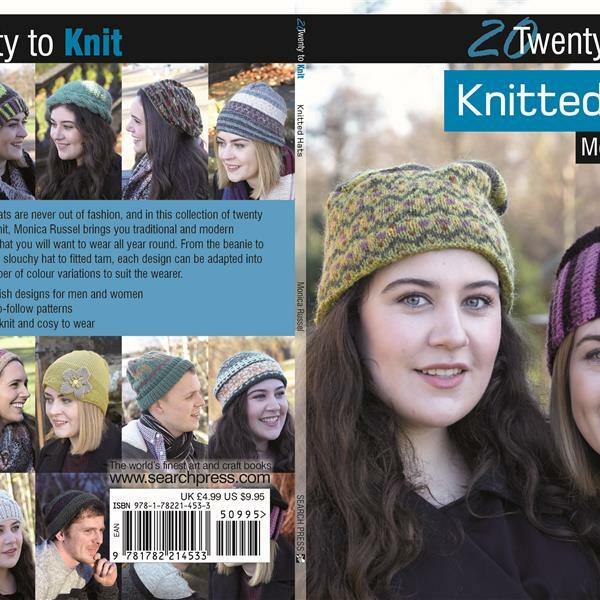 Prices for kits start from £10.00. 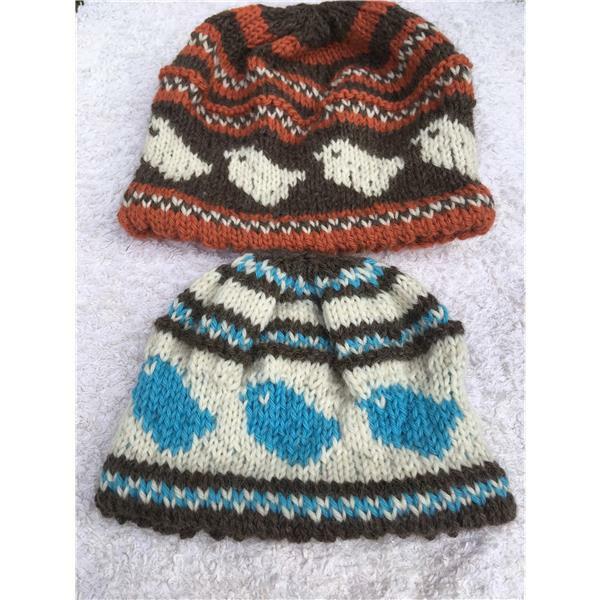 Kits are an economical way of making an item as they only contain sufficient yarns to make your item thus avoiding wastage. 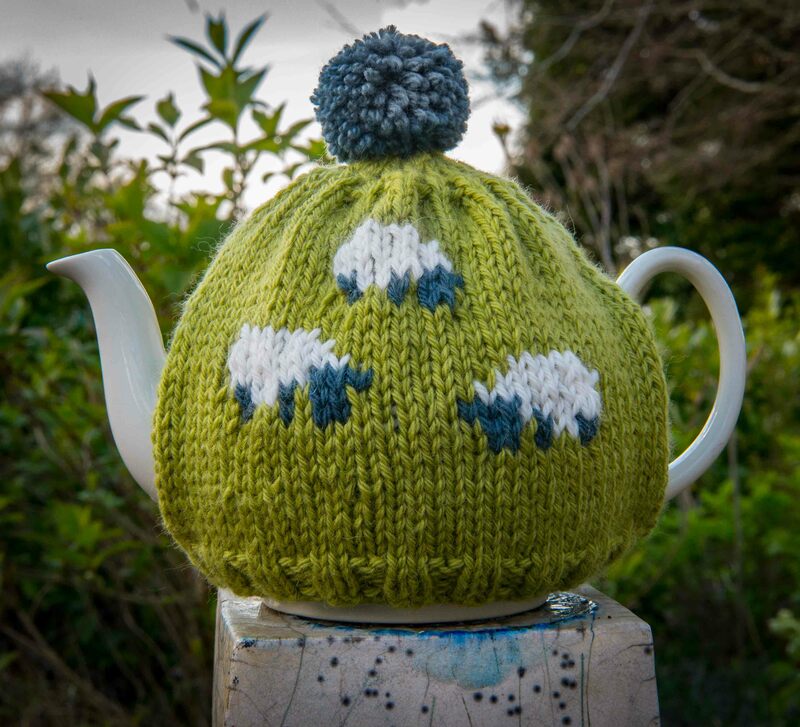 The Knitting Workshops and Masterclasses are aimed at all levels of experience, ability and confidence and are available East Sussex and Central London. 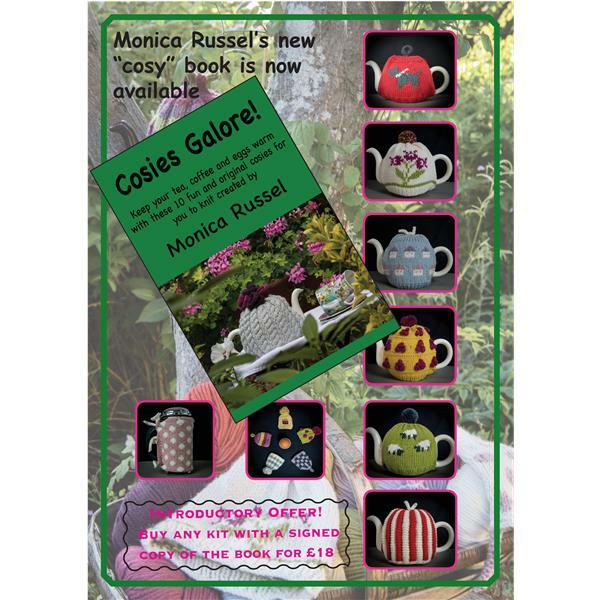 Monica will provide a friendly and inclusive environment where you can extend your range of skills and have fun along the way. 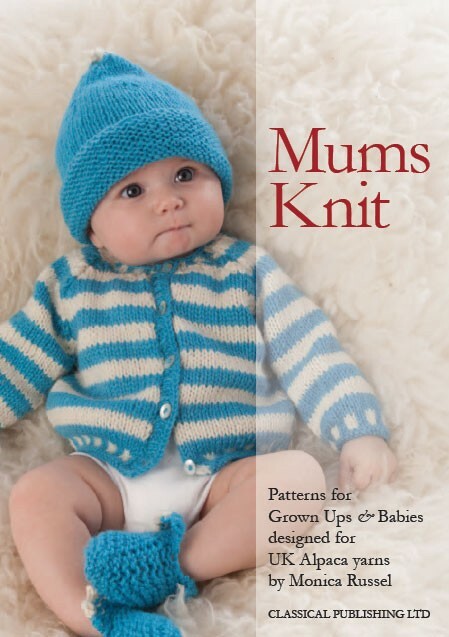 All of our knitting patterns can be quickly and easily downloaded and re-downloaded when needed. 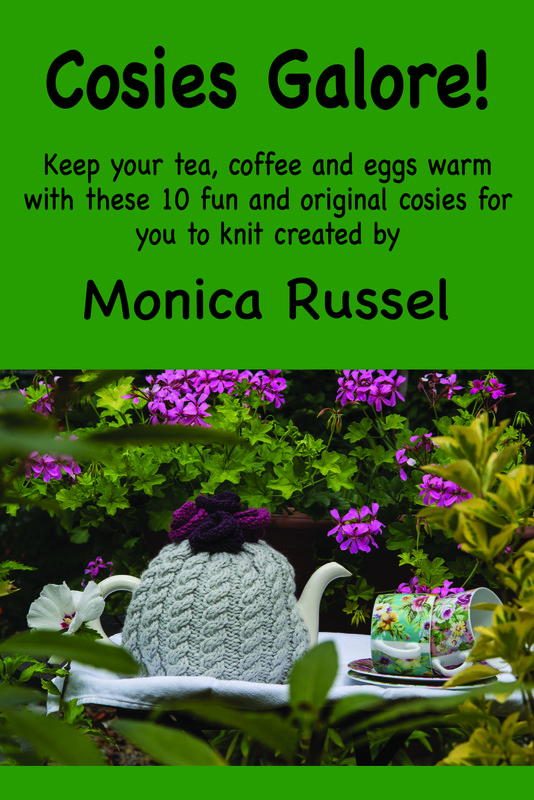 Why not brush up or develop your knitting skills by having private lessons or attending one of my workshops in my house in East Sussex. 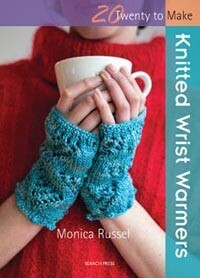 I am also happy to run workshops for craft groups,haberdashery or knitting shops. 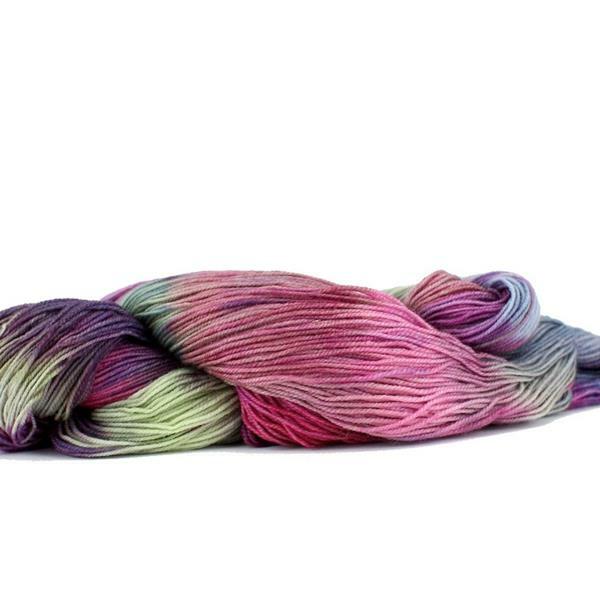 A great range of colours £17.00 for 100grms/ 800metres. 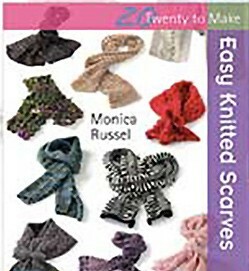 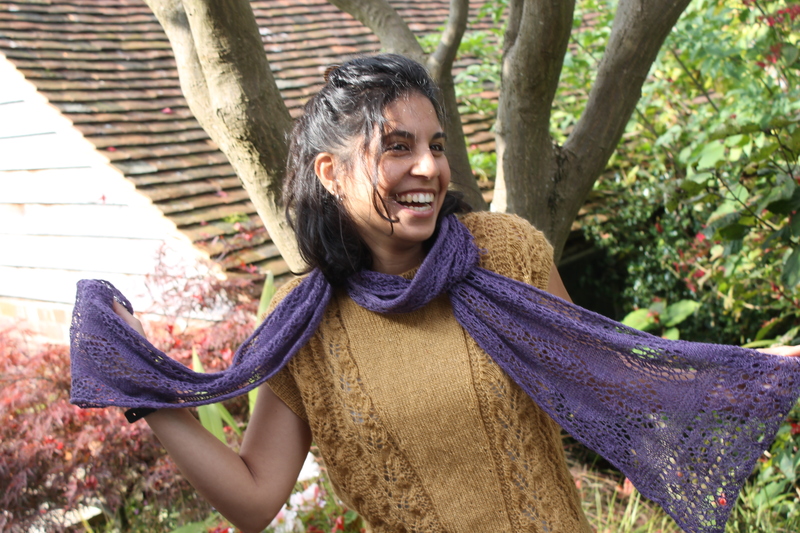 Free pattern with scarf / shawl kit. 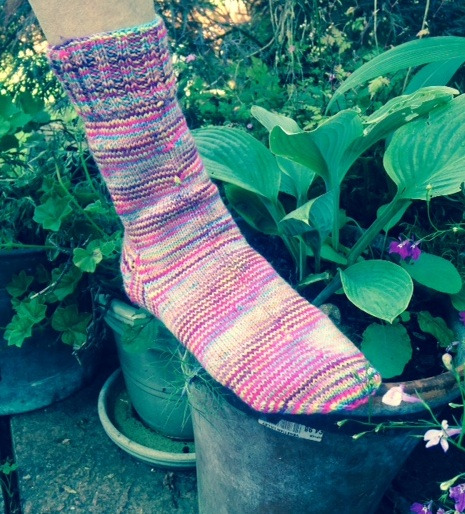 "I bought a kit and it was great"
"Really enjoyed a Fair Isle workshop at Monica's House in East Sussex"